The state and the business have been actively introducing IT solutions in the processes of control, operation, automation, development of service systems etc. A large variety of IT services, software, programming solutions and new offers is available in the global market. However, solutions optimal for a certain company or a certain service can be useless for project or business partners since software products are often incompatible being at cross purposes. Harmonization of IT solutions, development of a single platform for smooth and safe exchange of information used in different spheres, sectors and countries is the challenge to be met both on the national and global levels, especially when it comes to multimodal services, international and intersectoral cooperation. Nowadays, economy digitalization is the key task for countries striving to take a strong position in the global economy. Russia has joined this process together with other countries. In July 2017, RF Government approved the Digital Economy Programme aimed at the development of economy where digital data are the key factor of production in all spheres of social and economic activities. In the framework of this programme, the Digital Transport and Logistics initiative of the Ministry of Transport of the Russian Federation is supposed to change the industry through application of digital technologies. 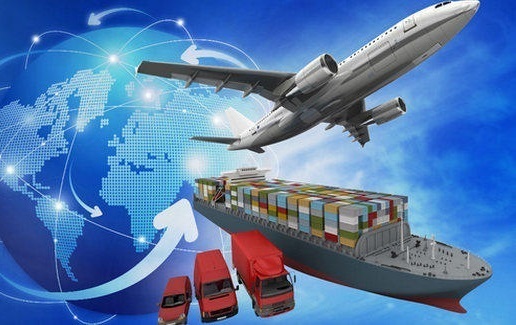 In May 2018, the leading companies of Russia’s transport sector signed an agreement to establish a Digital Transport and Logistics Association for creation and development of a common digital space based on domestic technological solutions and software. One of the key tasks of the Association is to establish and develop a common multimodal digital space for transport and logistics of Russia. “Application of IT-systems created by the industry leaders and their integration into a common digital platform for transport industry will ensure fast promotion of digitalization in transport and logistics. Platform-based solutions will let offer new unique services for transport users, improving its security, comfort, and accessibility. It is an enormous work requiring an improved legal and technical regulations, development of cross-cutting solutions and information security. We support the business’ initiative to establish this association”, emphasized RF Transport Minister Yevgeny Ditrikh. It is not unexpected that the business and the state have now entered the active phase of search for solutions able to harmonize the diverse digital environment. As Anton ZAMKov, General Director of RT-Invest Transport Systems said at PRO// Motion.1520 Forum in Sochi (October 2018), “the time of separate IT-solutions is over, its time for platforms and systems”. According to Victor Parakhin, General Director of FSUE ZaschitaInfoTrans, the transport business is currently creating an ecosystem of digital platforms and solutions under a single name – digital platform for transport. “It is not a single technical solution but an ecosystem of platforms that will interact with each other and work according to common standards and rules. The issue being discussed today at the level of the state and the businesses is the necessity of common standards for digital cooperation as well as what should be done by the business to create such a platform and by the state to provide its services”. Yevgeny Tkachenko, Deputy Director of the Department for Development Programmes, Head of the Department for IT Development of Transport, the Ministry of Transport of the Russian Federation, said in his turn: “We are witnessing a revolutionary transition to a new technological level of development. It is important to create an environment for a free interaction. It is necessary to be fast, particularly when it comes to regulations. The role of the state is to ensure digital sovereignty, which is not less important than territory sovereignty. I hope that digital platform of the transport sector will speak the Russian language and the language of our partners”. He also emphasized that digitalization will bring a new player – an artificial intelligence. People should take it into account and always be ahead of the curve to use and master its potential. “The task of the state is not limitation but harmonization of the rules for acting within a common digital environment”, believes Yevgeny Tkachenko. “Yet another challenge of developing a national digital environment for transport and logistics is to correlate it with the platforms of partners and neighbors”, said Maxim Gall, deputy head of the Project Office under the Digital Economy of the Russian Federation programme. Meanwhile, the business is ready to put many of the initiatives into practice. At the PRO// Motion.1520 Forum, Russian Railways and Vostochny Port announced their plans to implement a joint project on digitalization of the Nakhodka-Vostochnaya station, which was an initiative of Port Management Company. Irina Olkhovskaya, First Deputy to General Director of OOO Port Management Company, which is the largest dedicated coal ports of Russia – AO Vostochny Port (Vgrangel, Primorsky Territory) and AO Rosterminalugol (Ust-Luga, Leningrad Region), submitted to Russian Railways a proposal on digitalization of the Nakhodka-Vostochnaya station, one of the largest stations in the Far East. “Main digital products are more widespread in the central Russia where necessary infrastructure is available. However, the largest investment projects today are in the Far East where the second phase of BAM and Transsib projects is under implementation. Therefore, we have put forward ершы initiative in the name of Vostochny Port. We were supported by Oleg Belozerov, CEO and Chairman of the Board of Russian Railways. That’s good. So we are going to launch a joint project on digitalization of the Nakhodka-Vostochnaya station. The collaboration of Russian Railways and Vostochny Port should be efficient. The obtained experience can be expanded to other stations of this challenging sector”, said Irina Olkhovskaya.